Here's a Cajun Shrimp Etouffee recipe that is outstanding. 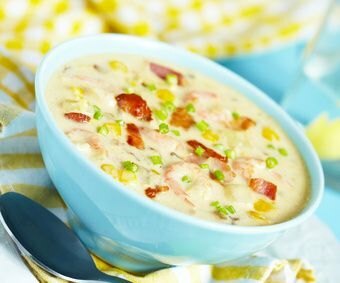 Offering a Shrimp Chowder recipe at the bottom of the page and many more recipes for you to try. So just a warning--this is hot and spicy. If you're not sure about the level of heat, add less hot sauce to start--you can always add more, but can't take it away once it's in there. Instead of crawfish, add diced chicken with the shrimp. Delicious. 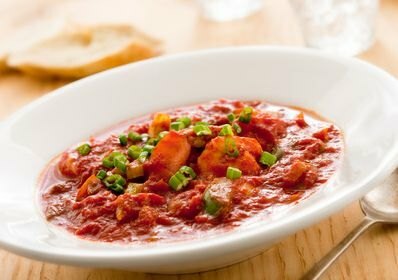 A wonderful Shrimp Etouffee recipe to share.